Harry Maguire was sent off after just four minutes following a last-man foul on Johann Berg Gudmundsson but Leicester took the lead when James Maddison curled home a superb free-kick on 33 minutes. Dwight McNeil levelled five minutes later (38) for the hosts with a fine finish but although Burnley had pressure, substitute Morgan nodded in Youri Tielemans' deflected cross at the death to give Leicester an unlikely victory. Burnley made one change from the 4-2 loss to Liverpool. Johann Gudmundsson replaced Jeff Hendrick. Otherwise, it was the same 18 which went to Anfield.Brendan Rodgers kept faith with the same side which beat Fulham. In fact, the entire squad was unchanged from that 3-1 success. The result keeps Burnley 17th, two points above the relegation zone, while Leicester remain 10th. 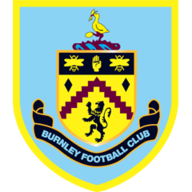 With relegation adversaries Cardiff and Southampton not in action, the Clarets had the chance to steal a march on their rivals in the battle to avoid the drop. Those attempts were seemingly boosted almost from the outset as England international Maguire was dismissed after a clash of legs with the recalled Gudmundsson. 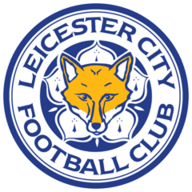 Despite being at a numerical disadvantage it was Leicester who took the lead after Maddison was bundled to the floor by James Tarkowski and then stepped up to impressively bend the resulting free-kick past Tom Heaton. Jamie Vardy was denied by Heaton, who was recalled by England this week, and less than a minute later the Foxes were made to pay for not doubling their lead. Charlie Taylor got free on the left and picked out England Under-20 newbie McNeil on the edge of the box, who swept the ball beyond Kasper Schmeichel with aplomb. Though referee Michael Oliver thought otherwise, there is little doubt Wilfried Ndidi's trip on Charlie Taylor in the second half should have resulted in a penalty. The start of the second half followed a more predictable pattern, with the home side enjoying much of the ball as they tried to make their man advantage count. Ashley Barnes spurned the best of the opportunities, scooping over the bar after McNeil's teasing cross. Sean Dyche's side should have had a penalty when Wilfred Ndidi clumsily tripped Charlie Taylor but referee Michael Oliver waves away the appeals. Wes Morgan has marked the 700th appearance of his club career with the 90th minute winner against Burnley. 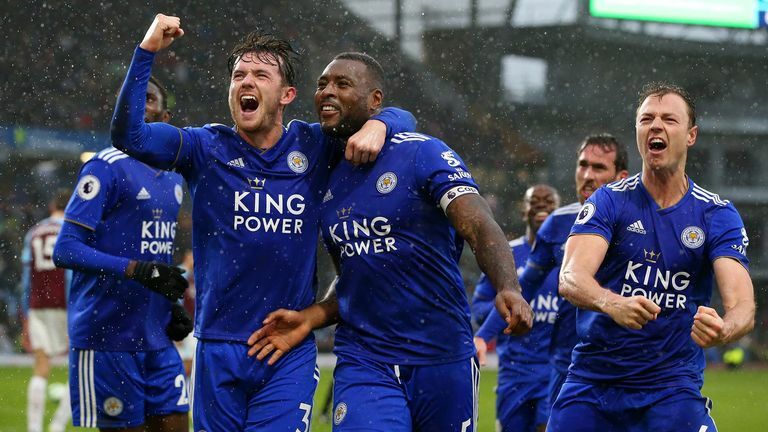 And that decision would prove to be decisive as a late bout of Leicester pressure led to captain Morgan - who had earlier replaced Demarai Gray after Maguire's red card - rising highest to head Tielemans' cross into the corner to spark scenes of delirium among the travelling fans. While Rodgers is now off the mark with Leicester away from home, defeat is a major blow to Burnley's hopes of avoiding the drop following a record-equalling fourth Premier League defeat in a row. 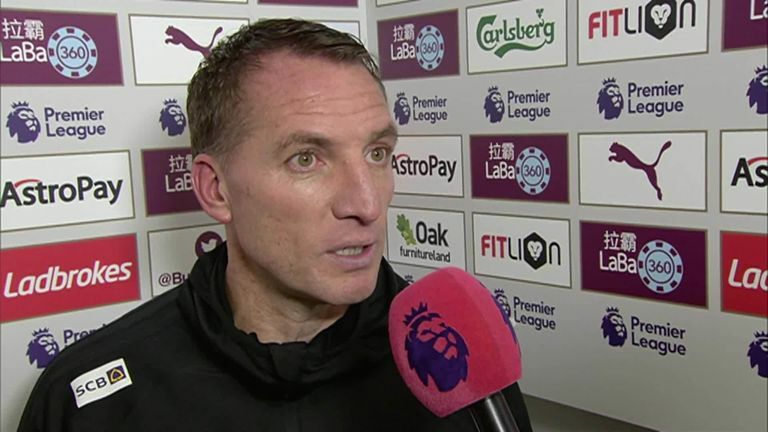 Leicester manager Brendan Rodgers has won five of his six league meetings with Burnley (L1), winning against them with four different teams (Watford, Swansea, Liverpool, Leicester); the Clarets are the first team Rodgers has beaten with four different teams. Burnley have conceded a league-high 14 goals from outside the box in the Premier League this season. Burnley's games have seen more 90th minute goals than any other side in the Premier League this season (13), with the Clarets shipping a league-high 10 times in the 90th minute or later. Burnley have kept just two clean sheets in their last 12 Premier League games at Turf Moor. Burnley's Dwight McNeil has had a hand in six Premier League goals this season (2 goals, 4 assists), the second highest total for a teenager this term after Ryan Sessegnon (2 goals, 5 assists). James Maddison is the first Leicester player to score two direct free-kick goals in a single Premier League season. Leicester City have been shown more red cards than any other Premier League team this season (5). Harry Maguire's red card after 3 mins 11 secs is the fastest in the Premier League since Gareth McAuley vs Manchester City in March 2015 (1min 29 secs). Leicester offered very little in attack for long periods, and it required a heroic effort from the Nigerian at times to stem the Burnley flow. Though perhaps fortunate not to concede a penalty, he was otherwise key to protecting a weakened back four and snuffing out any threat - laying the platform for the late winner. Brendan Rodgers praised his side's spirit as they secured a late 2-1 win at Burnley despite playing 86 minutes of the game with ten men. Brendan Rodgers: "A real team performance. The guys coming off the bench had to have an impact as well to give us that energy and all-round it was an incredible three points. "You always fancy it at 1-1 and we got a corner late on. They defend it well, it comes out and then Youri whips a great ball in and the big guy gets up and has done what he's done. A great header. 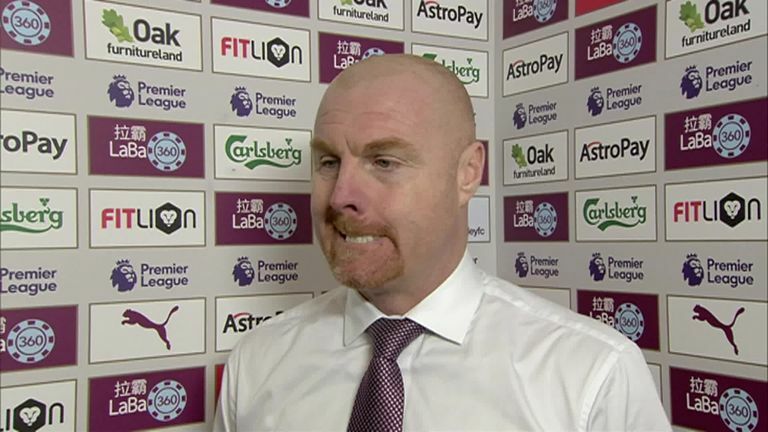 Sean Dyche was disappointed that his Burnley side came away with nothing from their Premier League match against ten-man Leicester. Sean Dyche: "They went to 10 men and I think it was so early it kind of shocked us and we didn't get to grips with it. "You always fear a set-piece late on. We don't stop the cross, we don't deal with it before that actually. We give away a really poor corner for no reason, we don't stop the cross and they get a bit of fortune with it bouncing off Charlie Taylor's leg and onto Morgan's head. "He [Ndidi] definitely clips him [Taylor] but a natural fall. You don't get them for natural falls. If he goes rolling around on the floor he's got a chance. I don't think you get them for natural falls. It is a shame because that is the way the game is going." Following the international break, Burnley host Wolves while Leicester welcome Bournemouth on March 30.